Come on out to the VAFF 2014 Press & Launch Party to help us officially launch the 18th annual Vancouver Asian Film Festival. Anita’s Last Cha Cha / Ang Huling Cha Cha ni Anita, a little rural Bulacan slice-of-life with a few touches of magical realism thrown in. Proceeds go to international non-profit organizations with programs that invest in girls. Join us on September 28th for dancing & a screening of One Big Hapa Family. 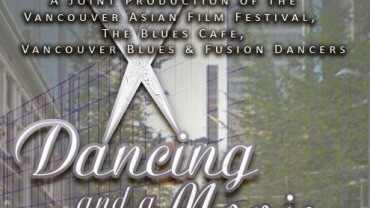 A joint production of the Vancouver Asian Film Festival, The Blues Cafe & Vancouver Blues & Fusion Dancers. Hapa-palooza is a cultural festival that celebrates the city’s identity as a place of hybridity, synergy and acceptance. 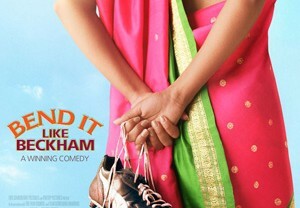 Family fun, food and Bend It Like Beckham in the park. 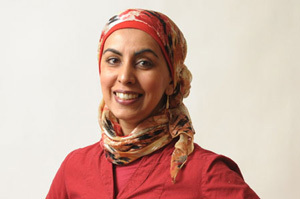 Zarqa Nawaz (creator of the hit TV series Little Mosque on the Prairie) & Anita Majumdar award-winning actor, playwright, and dancer in conversation. VAFF Community Partners the Asian Canadian Writers' Workshop present literASIAN writer's Festival 2014 - celebration of Pacific Rim Asian Canadian writing. 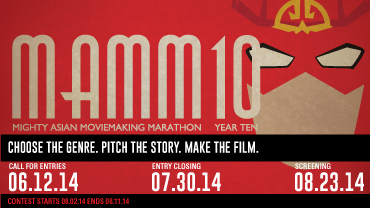 Mighty Asian Movemaking Marathon kicks off its 10th year. Choose the Genre. Pitch the Story. Make the Film. Screening on August 23, 2013.